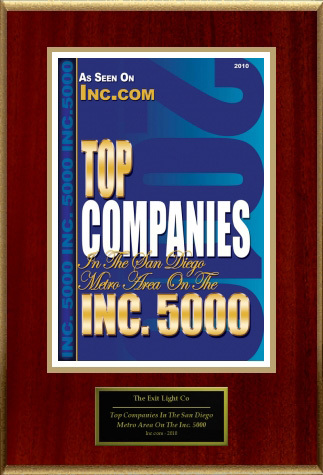 The Exit Light Company receives recognition as a Top Company in the San Diego Metro Area on the Inc. 5000 for 2010. Founded in 2000, The Exit Light Company celebrated an 83% growth rate between 2006 and 2009. Inc.com ranks the company in 60th place in San Diego for 3 year growth rate.